Don’t you just love Spring colors? 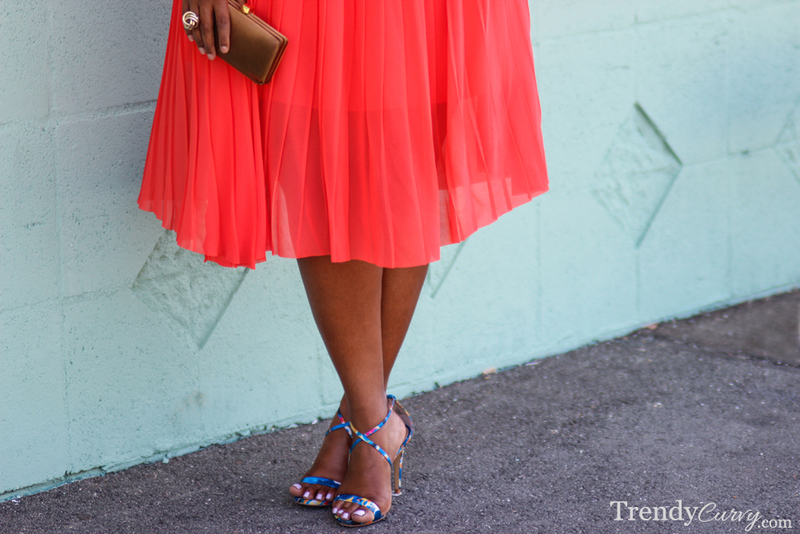 I know I do and I couldn’t resist myself when I saw this coral pleated skirt from Rachel Roy. 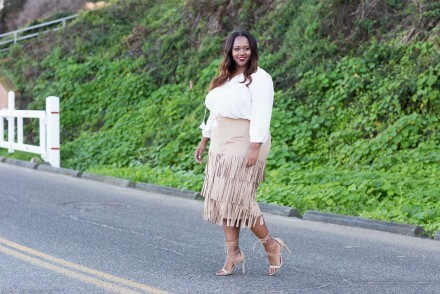 I already have a love for the easy, breezy detail that pleated garments exude as you can see from my previous post, Pleats, Please so the color and style of this skirt was necessary for my wardrobe. 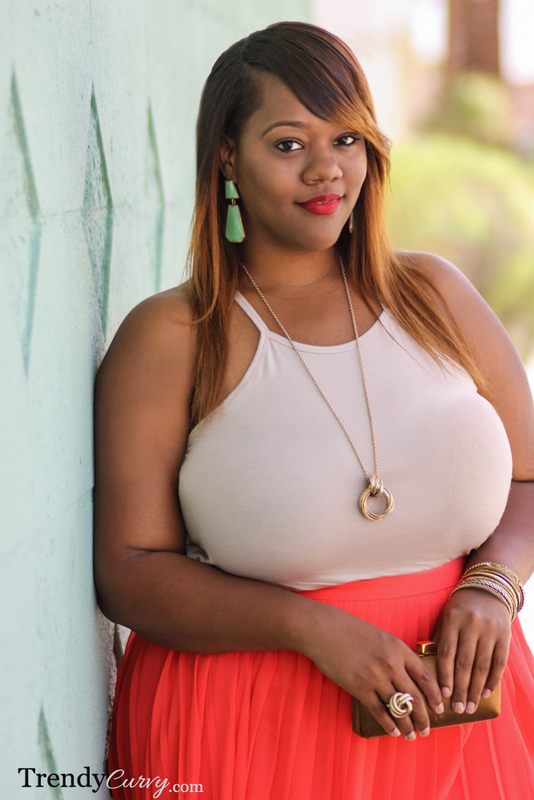 I paired it with a simple beige top from Forever 21 that is a great basic to have (not to mention its only $8). I also wanted to add some complementary colors into the mix with jade drop earrings and multicolor floral high heel sandals. 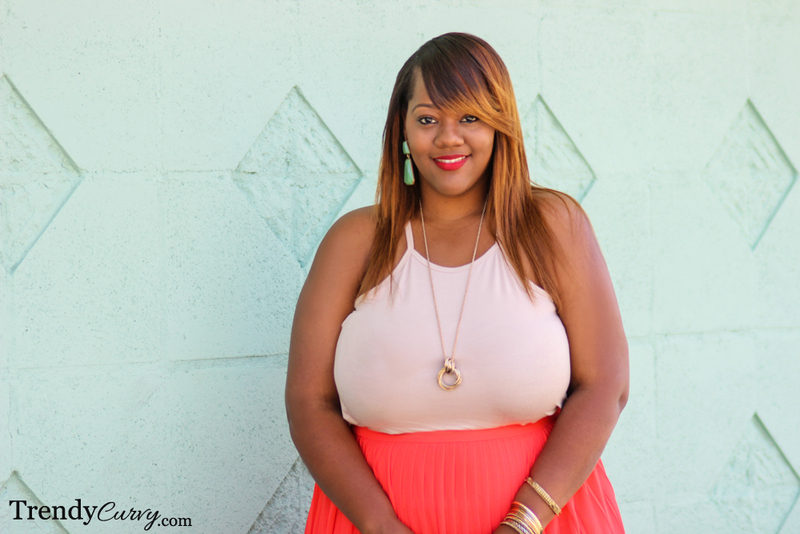 The perfect color palette for the season! 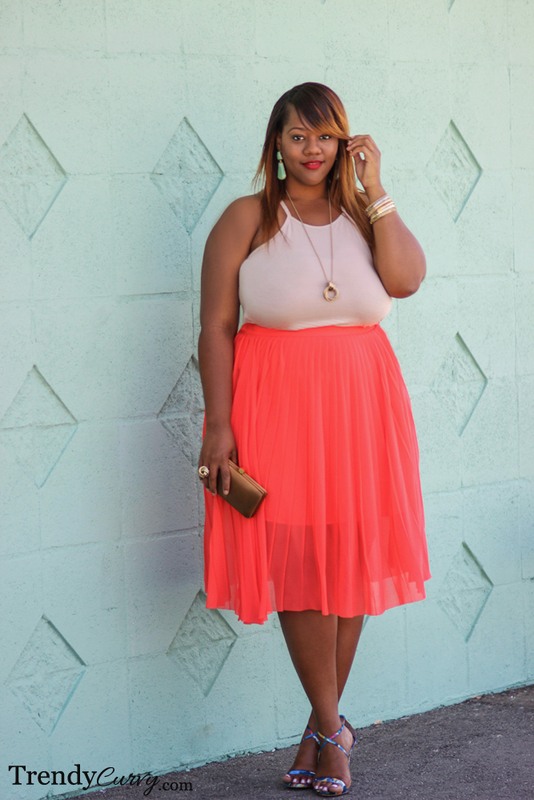 the coral pleated skirt isFabolous on You and the entire look is so chic and great…cheers! 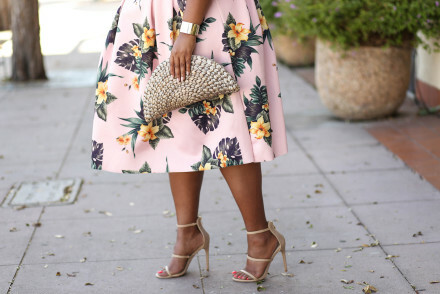 The Coral is to die for Beautiful!